Bravo‘Million Dollar Listing San Francisco’s’ Ron Habib is dealing with a tough seller. Bravo has extended its “Million Dollar Listing” franchise to San Francisco. And what we find in Business Insider’s exclusive peek at the next episode is that real estate clients on the West Coast aren’t so different from their East Coast cohorts. 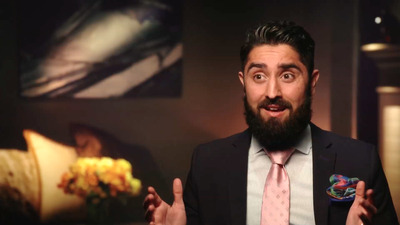 Viewers met cast member Roh Habibi on last week’s premiere episode. While he’s only been a realtor for three years, Habibi is already ranked in the top 6% of realtors in the San Francisco association. On next week’s episode, Roh has a $US6 million cash offer for his client, Brenda. And although it’s right around where he said the property should have been priced, Brenda isn’t budging on her $US6.5 million price. “There’s no negotiation,” Brenda exclaims. “Obviously, no one’s just going to come in and say, ‘Hey, I’ll pay you full price on this property,'” Habibi argues. “Work a little harder!” yells the client. Ouch. Meanwhile, cast member Justin Fichelson has a new listing in San Fran’s Mission, but finds he has to sell the neighbourhood before he can sell the house. And the third cast member, Andrew Greenwell is trying to figure out what’s worse: Dealing with an emotional seller or an inexperienced co-listing agent. “Million Dollar Listing San Francisco” airs Wednesdays at 10 p.m. on Bravo.